Last week I gave a talk about humanitarian mapping with OpenStreetMap. This was at an event organised by Article25, sponge network, and RIBA knowledge communities. I’m going to talk about mapping as in creating maps, and the not-for-profit mass-collaboration project “OpenStreetMap”. 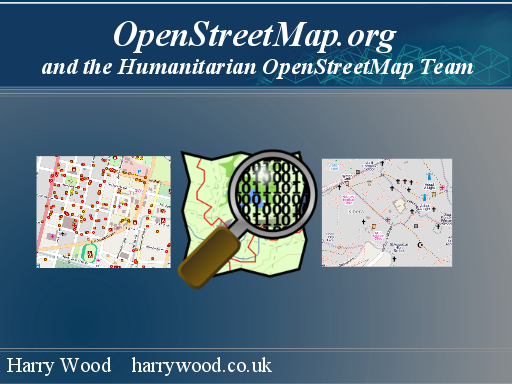 I’ll show various examples of how OpenStreetMap has helped in disaster response and developing world situations. 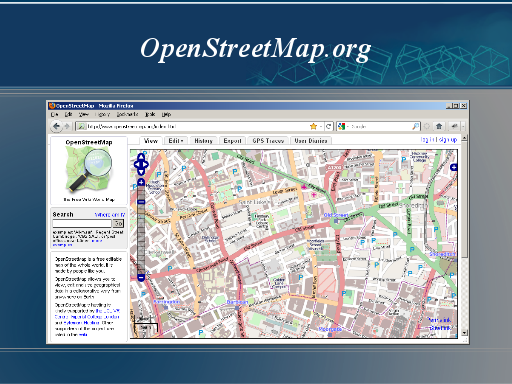 OpenStreetMap.org is a website which displays a map. Here is a map of where we are right now for example. The site lets you zoom in and pan around the map, much like google maps. But you can already see some interesting details which you wouldn’t get with google maps. A few years ago I had thought (with some sadness) that I didn’t really know how to get completely drunk any more. I could tolerate quite a lot of beer, and I formed a very grown up and very boring habit of slowing down when I felt myself getting drunk (or full of bubbles). Lately I have an even more boring habit of drinking less often. But on the plus side this has turned me into a total lightweight, so happily on my 32nd birthday party I was able to get utterly sozzled again, just like the old days. 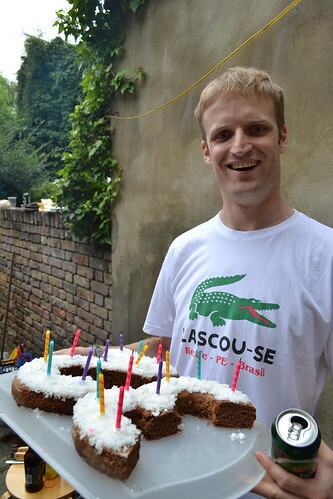 Thanks to everyone who came along to my birthday BBQ last weekend.